This post is one I’ve been wanting to write for a while. 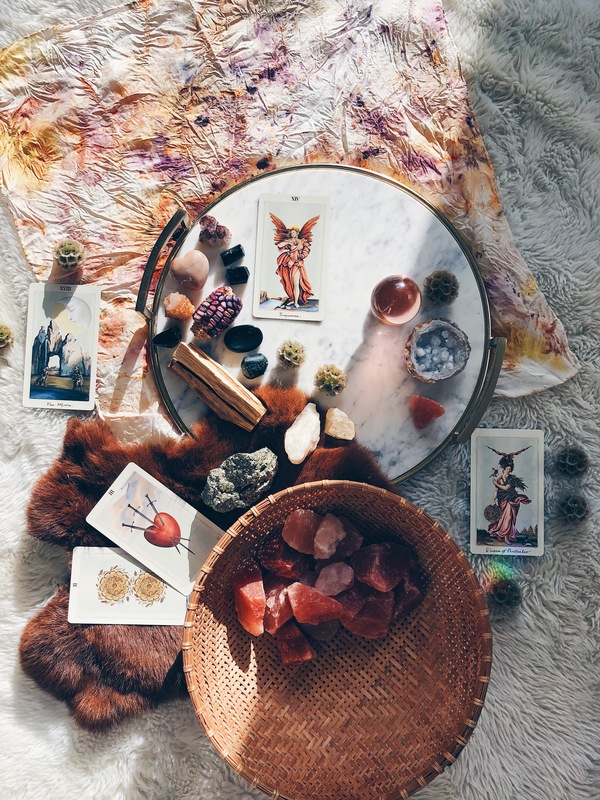 I get countless questions about how I learned to read tarot, what I’m doing at my moon circles and how I create sacred spaces to connect with the Earth and myself. 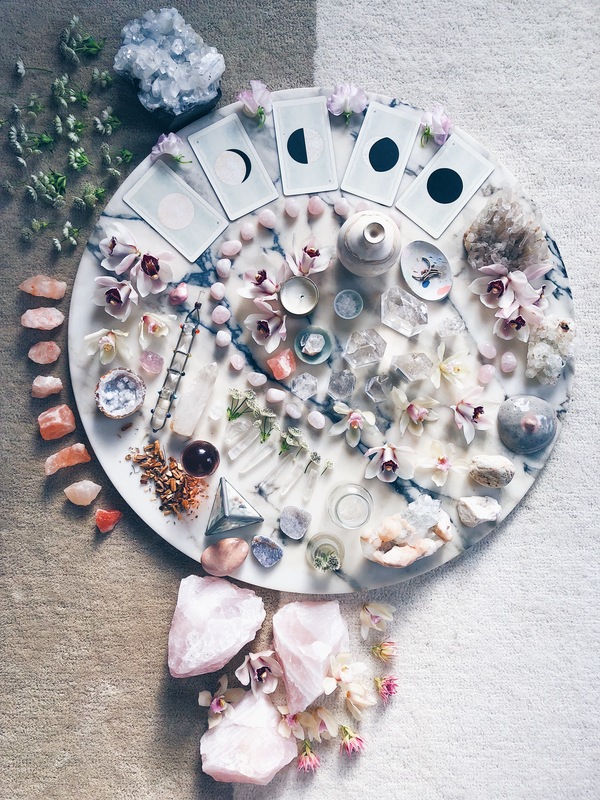 In this post, I’ll talk mostly about the moon cycle and how to create rituals around this. I will weave in some information about tarot as well, as I use tarot in most of my moon rituals. It’s always important to keep in mind that these rituals are deeply personal. The way that I create sacred space and honor the time around the moon may be different than how someone else does. I want to encourage you to explore these practices on your own. Some of what I know I’ve learned from friends and teachers, but a lot of it I’ve taught myself through following my intuition, practicing regularly and doing some reading. I want to emphasize, in my opinion, that there is no wrong way to practice these rituals. The most important part is that you approach this work from a place of respect, openness and good intention. I was lucky enough to work with the always inspiring and talented Finley Jordan on the photos for this post. 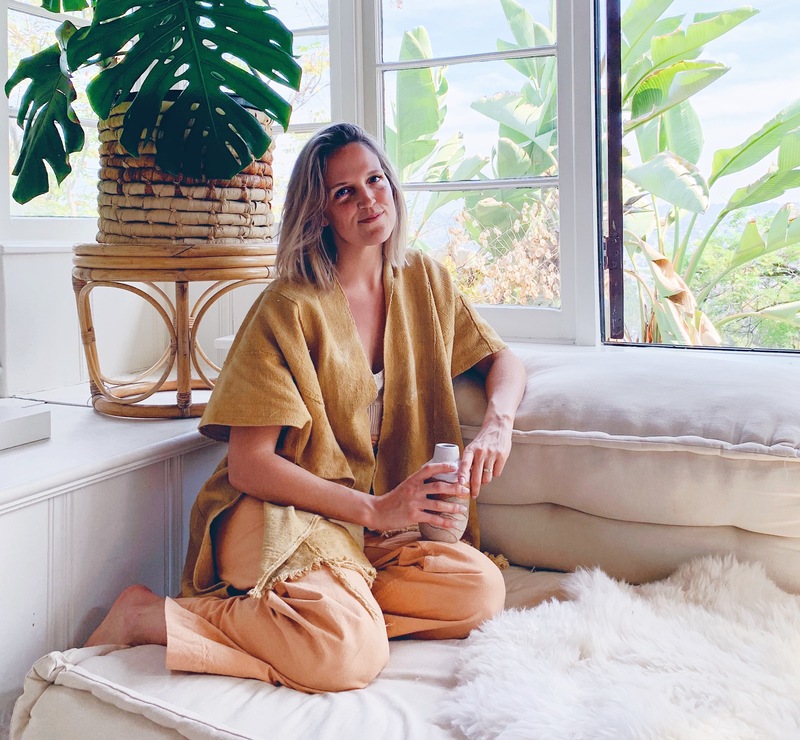 Finley is a master at creating stunning altar spaces and an all-around lovely human. The new moon marks the beginning of a new cycle. This is the time to start fresh, set intentions, create and renew. The new moon means the moon is invisible, a blank canvas. The sky is dark, and thus full of potential. A great time to get clear on what you desire and to invite new opportunity into your life. Now the moon is half illuminated and half shadowed. This is the time to take action, to do the work necessary to foster the intentions you’ve set during the new moon. This is a time of strength, hard work, dedication and unwavering energy. A good time to launch new projects, implement healthy habits and push yourself to do the challenging work required to actualize your dreams. The moon is fully illuminated. Her light shines down upon us from sunset to sunrise. This is the time for manifestation. Our energy and power are the most strong around the full moon. This is a time to dream big. Anything is possible. A great time to connect with higher powers and spirit guides. Also a great time to connect with others in your community. This is the culmination of all the work that has come before. Emotions are heightened during the full moon, so be gentle with yourself. The waning moon is all about releasing. Letting go of what no longer serves you, cleansing, breaking free of toxic habits and relationships. This is the time to make space for what you want to call in on the approaching new moon. A great time to go inward, for solitude, introspection and meditation. Also a potent time for forgiveness of self and others. I typically gather with other women around the new and/or full moon. For the waxing and waning moons, I usually create my own ritual at home. This includes creating an altar space, doing the work outlined in my Many Moons book and drawing a three-card tarot spread as follows. 1.) Take several moments to ground your energy and center yourself. Close your eyes and breathe deeply. When you feel ready, shuffle the deck using your dominant hand. While shuffling think about the energy of the moon in its current phase and what this time means for you in your current life. Cut the deck into three piles then using your dominant hand move the piles back into one. 2.) Ask yourself in silence or out load, “What does this _____ moon have to offer me?” Draw one card and place it face down in front of you. 3.) You can shuffle the deck between picking cards or not. Next, ask yourself, “What do I need most during this time?” Draw one card and place it face down in front of you. 4.) You can shuffle the deck between picking cards or not. Next, ask yourself, “What is the work I must focus on during this time to move closer to manifesting my dreams and desires?” Draw one card and place it face down in front of you. 5.) Turn the cards over one by one. Take several moments to notice the cards. How do they make you feel? What are your initial reactions? Do you notice any patterns in the cards you have drawn? As you go through your reading, take notes that you can refer back to at a later date. 1.) Invite some friends over (my moon circles are all women, but these circles can certainly be inclusive of any person who is interested in doing this work). I’ve been a part of circles with as many as 20 women, but I’ve also practiced this ritual with just one other woman. The size of the circle holds no importance. 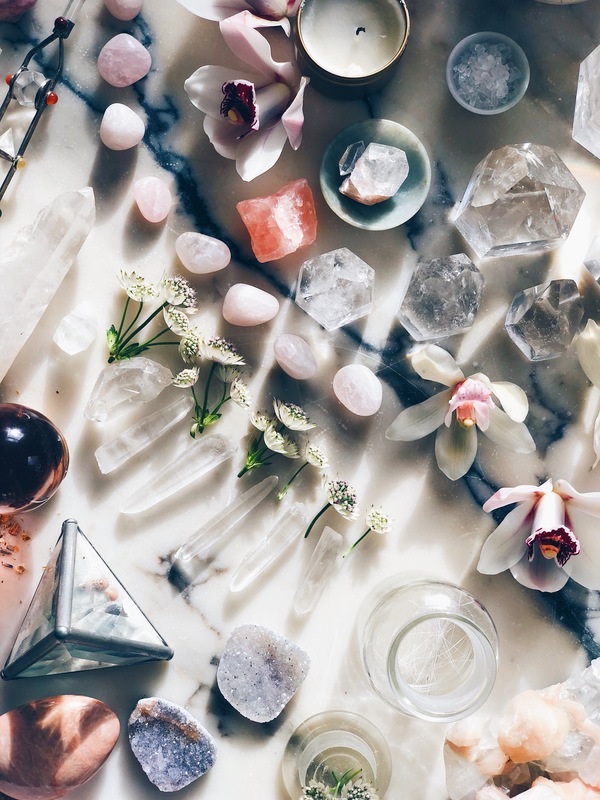 Ask whomever you’ve invited to bring any of the following: essential oils, flowers, crystals, feathers, bones, pictures, candles, palo santo, incense, a tarot deck and any other items that they consider to be sacred and special. 3.) Once your friends arrive, before casting the circle, use a bundle of sage to purify and cleanse each individual who’s entering the circle. Light the sage and have the person stand with their arms out to a T. Move the burning sage up over their head and down around their whole body, back and front, and don’t forget the bottoms of their feet! 4.) Once everyone, including you, has been saged, you can cast the circle. In my circles, we usually use a wand or foraged stick to cast the circle. Whoever is hosting will say a few words about the circle being a place of trust and safety. That whatever is said in the circle stays in the circle. And that whatever good spirits wish to enter the circle are welcome. 5.) Next, call in the directions -North, south, east and west. For some inspiration on what to say, check out this site, this site and this site. 6.) Now that the circle has been cast and the directions have been called in, you can begin. Take the first 5 minutes in silent meditation as a group. 7.) Once the meditation has ended, we usually start by talking about the particular moon that is happening. Here you can talk about the astrological implications of this moon as well as what this moon phase represents overall. 8.) This is the time when intentions are set for the new moon. Take several minutes to let the group write down their intentions or what they want to manifest during this moon phase. If it is a full moon circle, have everyone write down what they want to release in the coming waning moon phase. 9.) Once everyone is done writing, you can either go around and share out loud, or choose to keep them to yourselves. Personally, I think these circles are more potent when the intentions or releases are shared out loud in the group. Voicing our desires, our dreams, our fears and our demons can be incredibly healing and powerful. For me, sharing these with a group of people makes this work even more potent. Either way, sharing out loud or not, the energy of the community in the circle uphold and nurture whatever you’ve written down. If you are sharing out loud, instead of going around in a circle, allow each person to share as they are ready. After each person is done sharing, the whole group can say, “And so it is” together. 10.) During full moon circles, we burn whatever we’ve written on our papers to symbolize the letting go and releasing of that which does not serve us. If you choose to burn your papers, please be sure to do so in a responsible way. I have a ceremony bowl that I bring outside to burn paper. 11.) End with another 5-minute meditation. After the meditation has ended, you can now close the circle. Tell whatever spirits entered the circle that they are now free to leave in peace. Thank everyone for coming and for bringing their energy to create the circle. You may choose to end with a poem or a blessing. Many Moons – This book is an amazing guide and workbook to the moon cycles. Highly recommend. This is the link to the author’s site. Embodied Astrology – Great site. I love listening to the podcast. Offers great insight into what’s going on astrologically. Pagan Otherworlds – This is the tarot deck that Finley and I used in the photos. It’s very beautiful. 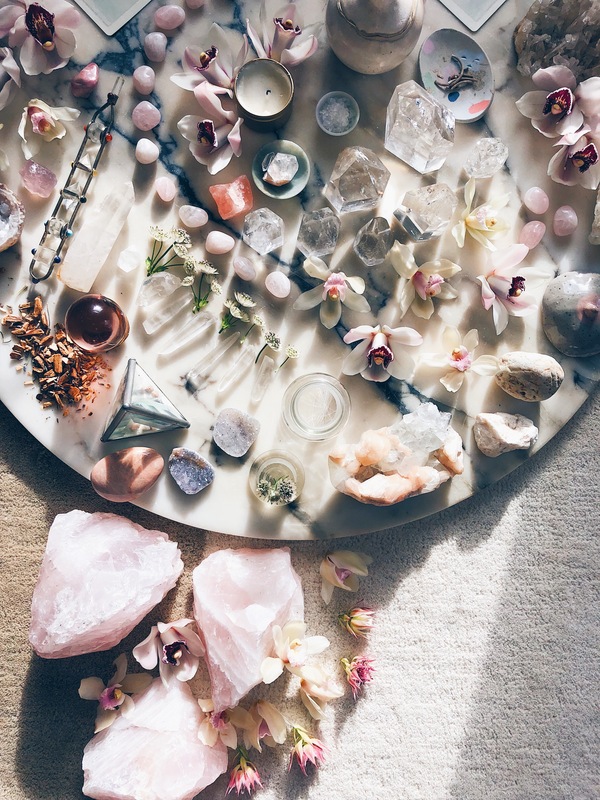 Energy Muse – Great place to purchase crystals, and their blog has lots of great info on using crystals during the moon cycle. The Wild Unknown – Another really beautiful tarot deck. I also have the Animal Spirit Deck. You will find a bunch of different types of spread and how to read them on their blog. 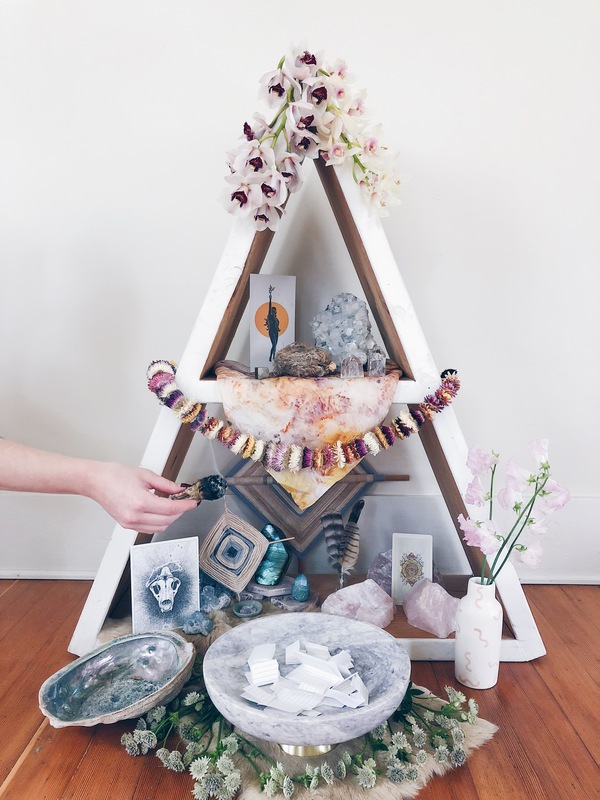 Roots & Crowns New Moon Kit – My friend Max just released this beautiful new moon kit to help you facilitate your own new moon circles at home. Mystic Mamma – One of my favorite sites for astrological insights.